The Sunpak Bluetooth with Zoom SelfieWand is the perfect way to take great selfies and videos. The SelfieWand comes with an adjustable smartphone mount which can support practically any smartphone or phablet. The smartphone mount is strong and sturdy enough for any smartphone and it expands up to 3.5” wide. The smartphone mount can be removed and you can connect a GoPro camera with the included GoPro mount or connect a point & shoot camera, camcorder or various action cameras via the integrated ¼”-20 mount. The Bluetooth Zoom SelfieWand comes with a built-in Bluetooth shutter release. 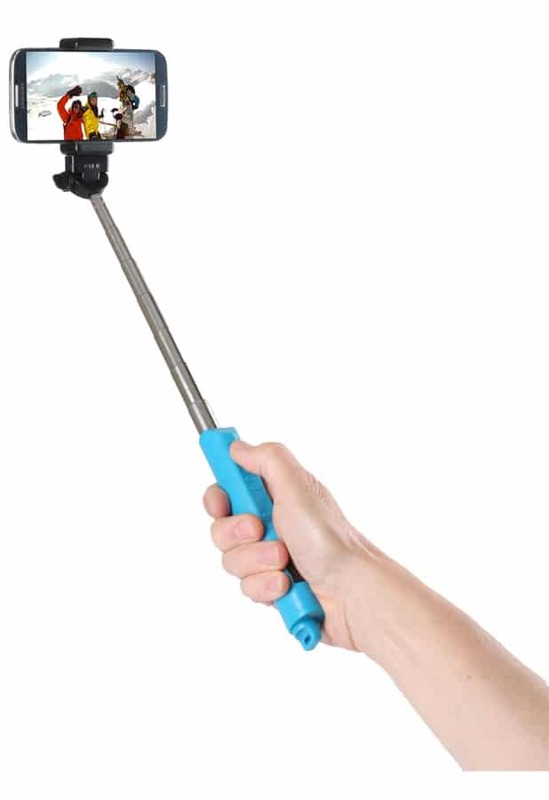 You can control the functions on your smartphone or phablet up to 30 feet away from the SelfieWand. Just pair with your smartphone or phablet and control the shutter functions with your remote. The Zoom buttons allow you to control the zoom function on your smartphone or phablet in order to get the perfect shot (the zoom function is not available for iPhones).